I've been thinking a lot about this week's prompt word broken. Broken hearts, broken promises, physical items that are broken. Resolutions broken. And also thinking about how to portray the idea of brokenness in a photograph. This is one of the girl's first necklaces. It came in a lovely little box full of fairy things - a story book, a fairy, fairy crafts and recipes. If you know any girls, you DO know that at some point they are fascinated with fairies. It looks more like a butterfly than a fairy now - that's where broken comes in. Somewhere, somehow, the pendant lost the legs of the fairy. And when the girl discovered that it was broken, her little heart was broken too. There were tears. It was the first time that something that meant a lot to her broke. The girl is out of the fairy stage now. She doesn't really believe in them any longer at age seven, not even the tooth fairy. But she still holds on to this fairy. Christie's BROKEN photo is over here. Christie & I brainstorm a topic each week to interpret through photos [we are trying to build up our skills, portfolios, and original content that we create for our blogs] and we would love you to take part. 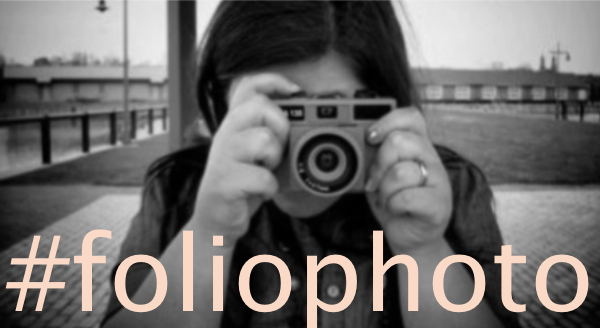 We’ve started a flickr group called Foliophoto (public/invite only for now – email me for access or mention it in the comments) and instagram hashtag #foliophoto. You don’t have to be a blogger to participate and you don't have to have a fancy DSLR - anything that takes a photo is fine. It's all about stretching your creative muscles. Next week’s prompt? Heart(s) – just in time for Valentine's Day.